Read our other blogs on New Zealand experiences! Private Bay of Islands day sail with crayfish BBQ: The Bay of Islands in the far north of the North Island is aptly named, with 144 islands set in sparkling blue waters, this area is a popular holiday destination for Kiwis and international visitors alike. What better way to explore the area than by boat. Imagine sailing on a private charter, just your party and the skipper/crew, sit back and relax, soak in the stunning scenery, watch the playful dolphins, penguins and whales or perhaps take a turn at the helm. 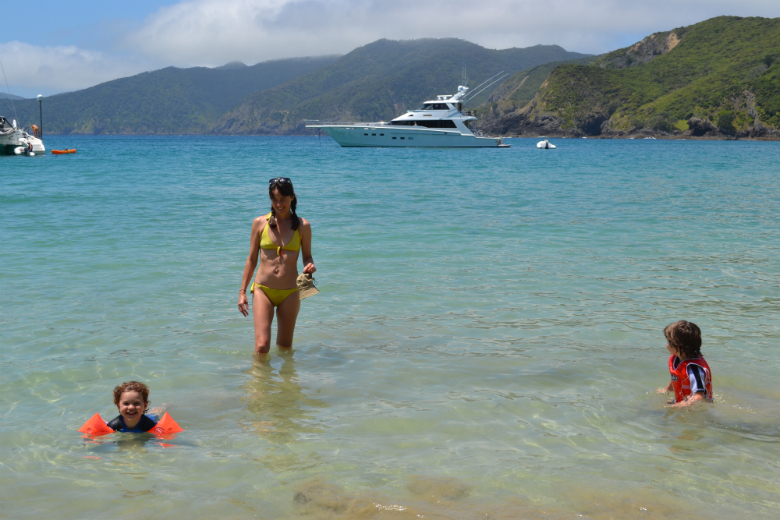 With a private charter you will also have the opportunity to swim, fish or snorkel. At lunch time drop anchor at one of the many secluded bays and enjoy a freshly caught crayfish with a glass of chilled New Zealand Sauvignon blanc. Could there be a more perfect day! 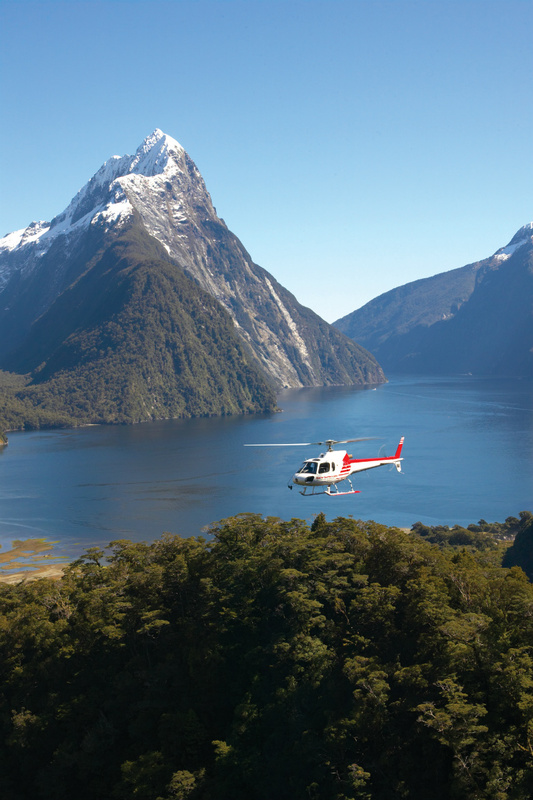 Milford & Doubtful Sounds by helicopter with a picnic at Lake Quill: Lift off from the convenient location of Queenstown airport and be transported to an unspoilt paradise by helicopter. Seemingly endless majestic mountains interspersed with lakes and rivers, gullies and streams fill the eye on this around 30 min journey to Milford Sound, the most frequented sound in Fiordland. A cruise on Milford Sound and out to St Anne’s Point lighthouse is also well worth while. A nice addition to this journey is an extended trip to Doubtful Sound with a champagne picnic at Lake Quill the feeder lake for the mighty Sutherland Falls, one of NZ’s highest and arguably most spectacular waterfalls. On your way back land atop of Mt Tutukou, at 3,200 metres (10,500ft) this glacier offers unsurpassed views of the Southern Alps and beyond. Routeburn Track: The Routeburn Track is one of the best walks in New Zealand, Lonely Planet lists it in their 10 best treks in the world, and National Geographic in their classic hikes of the world. It may be one of the shorter ‘Great Walks‘ but is big on scenery, with waterfalls, lakes, soaring mountains and huge valleys. The Routeburn is easily accessed from the resort town of Queenstown and can be walked in its entirety (32km) over a period of 2 – 4 days, or a portion as a day hike, which suits visitors on a shorter itinerary. 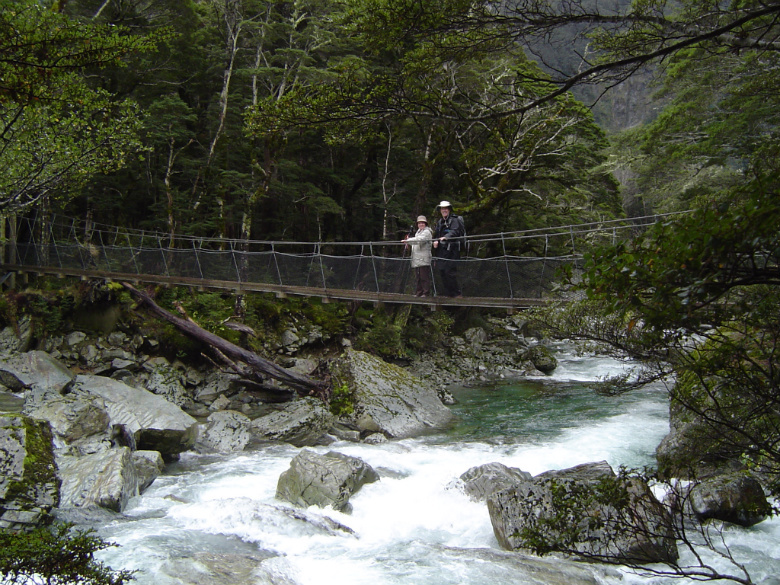 The Routeburn Track can be undertaken as a guided walk or independently and guided track walkers can stay in private lodge type accommodation. Bird life is prolific through forested sections of the Routeburn Track, with native birds such as robins, wood pigeons and fantails, also the Kea, officially the worlds only Alpine parrot. These unique and endangered green and red birds are comical to watch and famous for stealing hikers hats, shoes and anything they can get their beaks on! 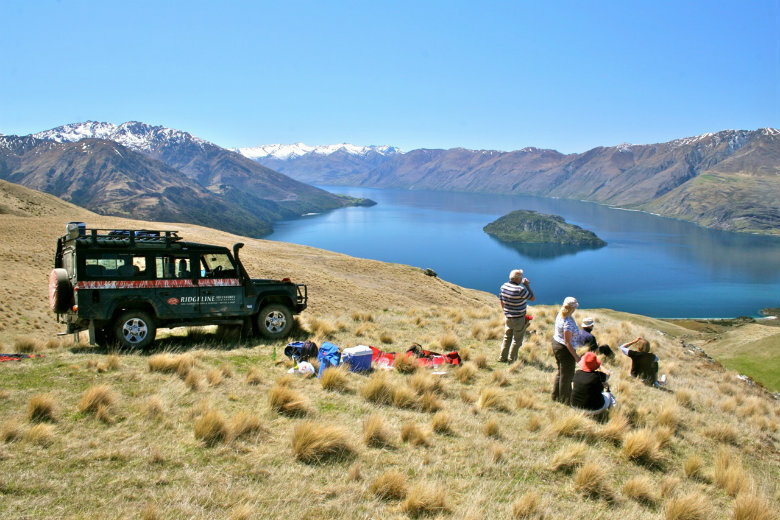 Wanaka 4wd Safari: This Wanaka Wild Hills 4WD tour remains a firm favourite with our clients. You get to experience the real Wanaka getting well of the beaten track and to places inaccessible to the public. View Wanaka’s spectacular rugged high country, snow capped mountains and lake vistas, all whilst experiencing sheer solitude. Visit a private New Zealand sheep, cattle and deer farm, breath in pure mountain air and breathtaking scenery. You will also visit historic Maori and European sites, steeped in local history. Mark the owner and your guide is an experienced driver and extremely knowledgeable on the area. Perfect for a romantic picnic on a mountain top, or a family day out. 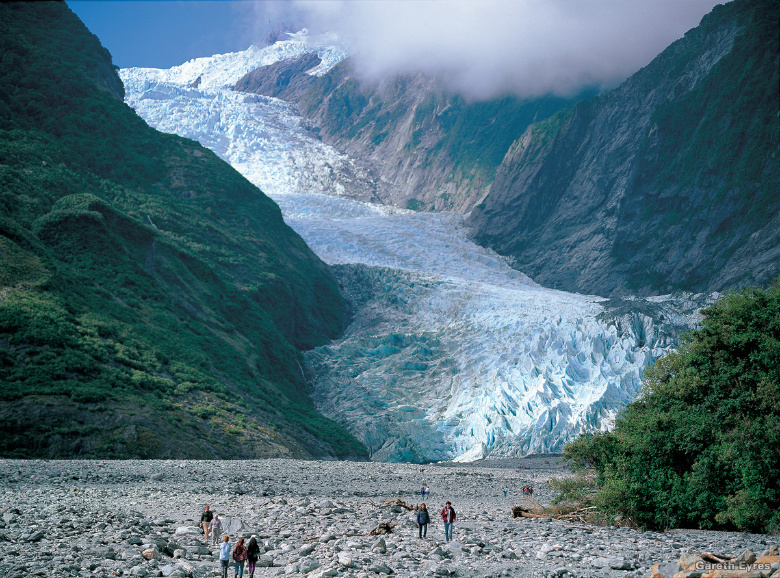 Fox Glacier Hike: The Fox and Franz Josef Glaciers on the West Coast of the South Island offer visitors a rare opportunity to experience dynamic glaciers with relatively limited travel time. New Zealand’s West Coast glaciers are unique and probably the most accessible glaciers in the world, as they touch rain forests at just 250 metres above sea level. At 13km Fox Glacier is the longest of the Glaciers with Franz the second largest at 10km. There are several options available to get up close and personal with these majestic glaciers. With a half day guided hike spending around 1 hour on the ice, a heli-hike allowing longer on the glaciers, (around 2.5 hours) to a 2 day over night hike, with a night in a hut. Each activity is unique in its own right and our team can advise which bests suits you depending on fitness levels, time available and travel budget. There are two main guiding companies in the region, both with experienced guides, and most equipment is provided. Privately Guided Hawkes Bay tour with Sophie: The Hawkes Bay located on the East Coast of the North Island of New Zealand is renowned for its sunny climate, great beaches, and probably most of all great wine! There is a lot to see and do in this region, and for those short of time the best way to get the most out of your time is to have a personal guide. Luxury Adventures have worked together with Long Island Tours now for many years, Sophie Williams owner and guide is a firm favourite of past clients, her name and product always commands high praise. Sophie’s knowledge of the land and the relationships she has built up with the local people are unsurpassed. One tour that covers the highlights of the Hawkes Bay from its wine, and food, to art and culture is her Best of the Bay tour, a perfect way to see and experience the best the region offers with an exclusive and tailored tour. Taste delicious food and wine, meet the producers on their land. Visit creative artists and view their paintings & sculptures. Meet with local Maori people and learn about their culture and experience first hand a Maori welcome or pōwhiri as its called, learn what makes the indigenous people of New Zealand so special. Sophie and our team talk prior to each tour to ensure the day is perfectly customised to meet your individual needs. Abel Tasman kayaking with the seals: The Abel Tasman National Park at the top of the South Island is New Zealand’s only coastal National Park and its golden sandy coastlines and crystal clear water make it one well worth visiting. There are no roads within the National Park and the only access is on foot or by water taxi. The combination of clear waters, peaceful coves, lagoons, off shore islands and wildlife make the Abel Tasman one of New Zealand’s top kayaking locations. With several options from half day to multi day trips there is sure to be a trip that will fit into your itinerary. 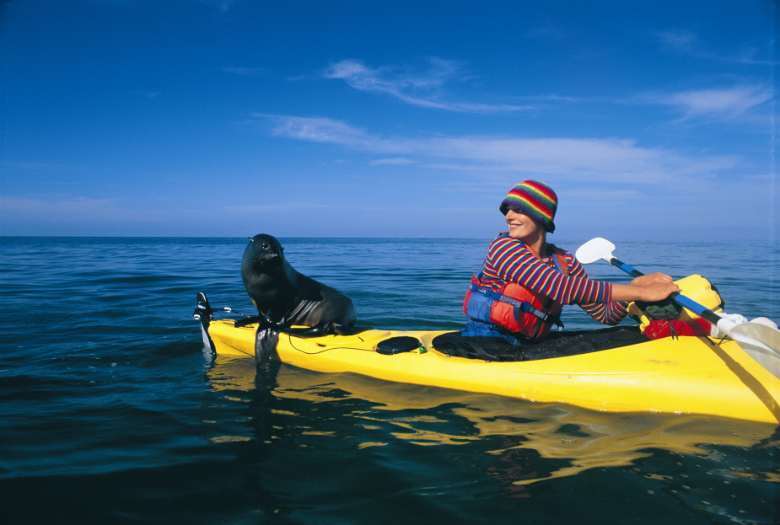 The wildlife of the park are a real draw card, and Tonga Island Marine Reserve is home to fur seals, should you choose to kayak here you will also likely to be accompanied by dolphins and penguins. You can choose to kayak independently, however it is recommended that you have a guide. Luxury Adventures have a team of experienced guides that we have worked with for a number of years. You can also choose to combine a kayak tour with a hike and picnic on one of the secluded beaches in the Abel Tasman National Park. Canyoning at Piha followed by wine tour at Waiheke Island: Auckland has so much more to offer than just the vibrant city. In just a a 30 – 40 minute drive from the city you can be in wine country, rain forest or beaches. For example how about spending the morning with a thrilling canyoning adventure at Piha Canyoning in the Waitakere Ranges and the afternoon relaxing at a winery on Waiheke Island! The Piha Canyon is run by Cam of AWOL Adventures and set in an amazing steep sided volcanic rock valley. With a series of thundering waterfalls that cascade their way down the valley towards the ocean. This canyon has the highest commercially abseiled waterfall in the Auckland region. Not only do you get to experience this thrilling adventure, but you’ll also see the coastal subtropical rain-forest, and the famous black sands of Piha beach with the majestic Lion Rock jutting into the horizon. What better way to follow an adventure filled morning than with a relaxing winery lunch on Waiheke Island, only 35 minutes by ferry or 10 minutes by helicopter from downtown Auckland. Your guide will meet you from your transport and take you to visit boutique wineries such as Mudbrick, Cable Bay and Stony Ridge. 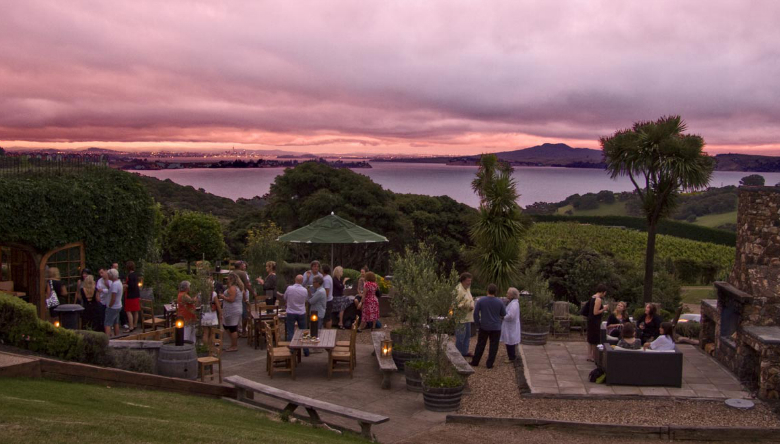 Savour world class award winning wines and enjoy a scrumptious lunch all whilst soaking up the stunning vistas of the Hauraki Gulf. The Luxury Adventures team can help you plan this fun filled day to make the best of your time in Auckland. A dozen bluff Oysters with evening aperitif at Eichardts: Bluff oysters are a prized New Zealand delicacy. Harvested from March to August in the Foveaux Strait at the very bottom of the South Island, close to the town of Bluff, hence the name. These oysters boast a sweet and plump appearance with a delicate and succulent flavour – people travel from far and wide to taste them during the season. They even have their own festival with live bands and entertainment such as blind folded oyster eating competitions! Should you be lucky enough to be travelling in New Zealand during the Bluff harvest season we highly recommend taking the time to enjoy a dozen bluff oysters with an accompanying glass of chilled New Zealand bubbles or of course the real stuff. Our team can arrange a private transfer from Queenstown or Wanaka to Bluff to experience this delicacy at its origin, or else many of the good restaurants in and around New Zealand will have them on their menu whilst they are in season. 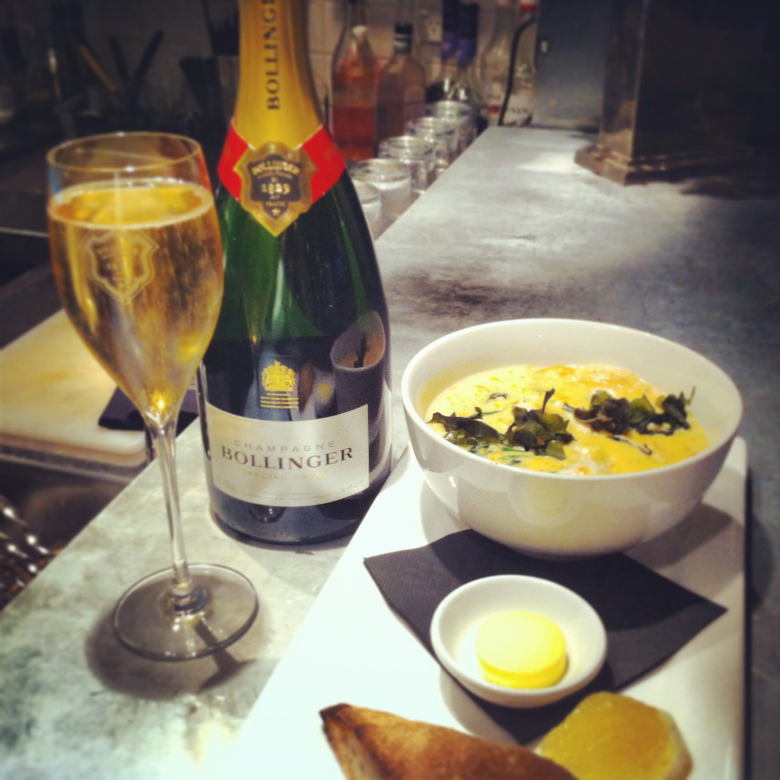 Enjoy a dozen oysters and one of Queenstowns fantastic restaurants followed by a cocktail at the iconic Eichardts house bar, let our team reserve a table for you and arrange a driver, so all you have to do is sit back and enjoy! Skiing at Turoa followed by a gluvine at the Powderhorn: Mt Ruapehu is half way between Auckland and Wellington, approximately 4 hours drive from both these cities and offers skiers fantastic skiing and snowboarding at either Turoa ski field which is located on Mt Ruapehu’s southern side or Whakapapa on the northwestern slopes. There is accommodation in National Park at the Chateau Tongariro, and the Powerhorn Chateau in Ohakune being the most well known lodge in the town, a favourite destination for ski and mountain enthusiasts. The Powderhorn Chateau’s iconic building borders the southern slopes of Mt Ruapehu and the spectacular Tongariro National Park. 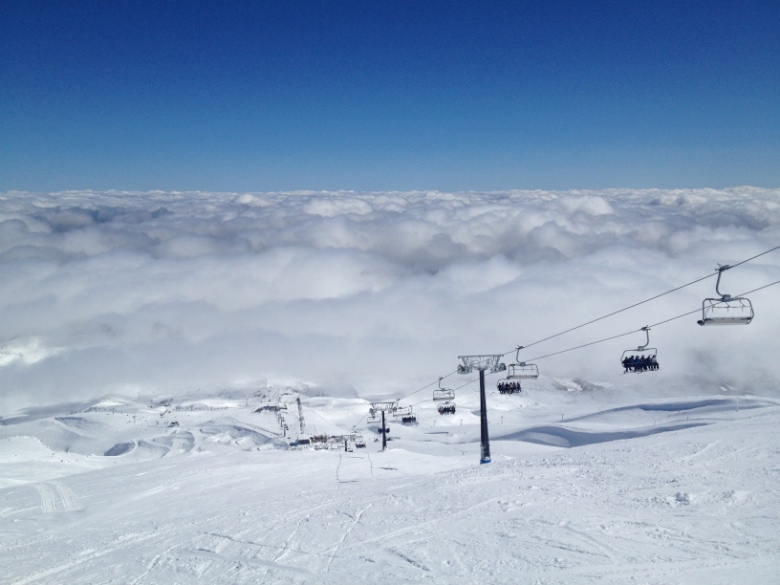 Turoa combines great skiing with a vibrant apres ski scene and a drink at The Matterhorn Restaurant and Bar located at the Powerhorn is a real “must-do” during the winter ski season. Tony Townley is a luxury lifestyle specialist and owner of Luxury Adventures. Talk to us about planning your next visit to New Zealand, Australia or the South Pacific Islands.